A bookmark that is stable, wear and tear proof and reliably marks the page at which you stopped reading is essential for any bookworm. The Tool The Bookworm by Tom Dixon are beautifully shaped bookmarks in the form of a quill, a hand and a pen, which have been punched from a piece of brass. 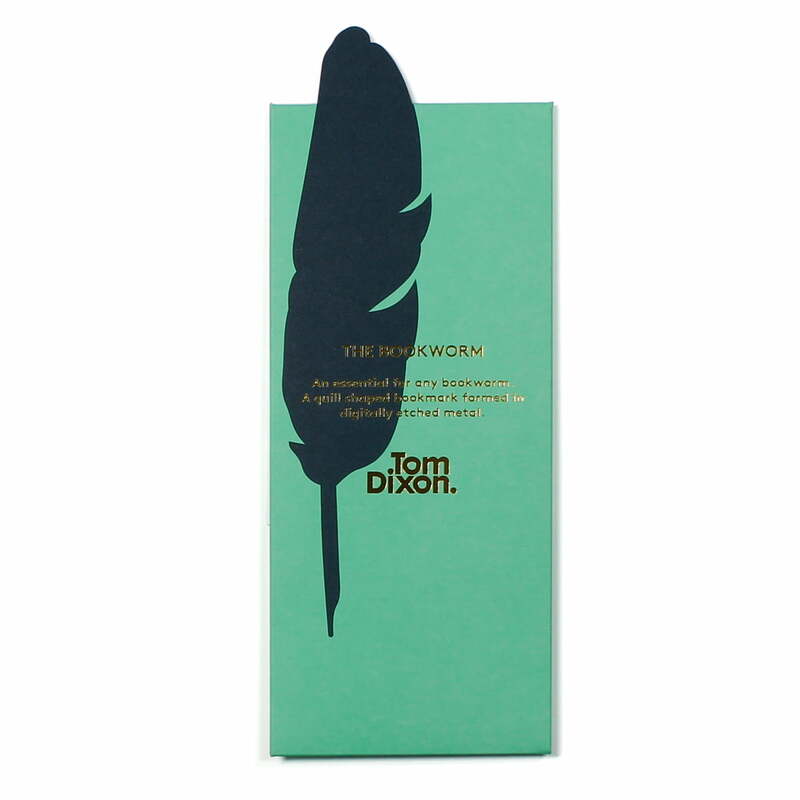 Details on the bookmark, as well as the logo by Tom Dixon are etched into the brass. The Tool Collection by Tom Dixon consists of small things for the everyday use and everyday work that are all pressed from a sheet of brass. The series includes a ruler, a set square, paperclips, a protractor and bookmark in which the scales and markings are etched in the brass. The manufacturer's logo is etched into the brass as well. The series replaces everyday items that are normally made of plastic with high quality and durable products that are made of brass and thus create eye-catchers on the desk. Only the Tool calendar is pressed of high quality stainless steel. Individual product image of the Tools The Bookworm Quill by Tom Dixon. 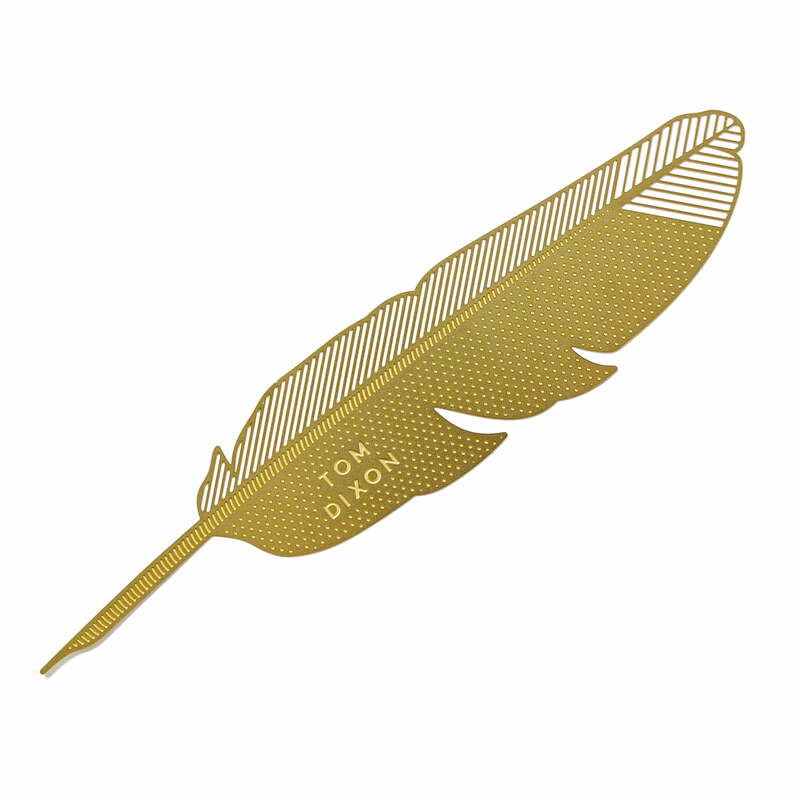 The bookmark Tool The Bookworm Quill from Tom Dixon is stamped from a piece of brass. Essential for any bookworm is a bookmark that’s stable, doesn’t dog ear and reliably marks the point where you’ve stopped reading. 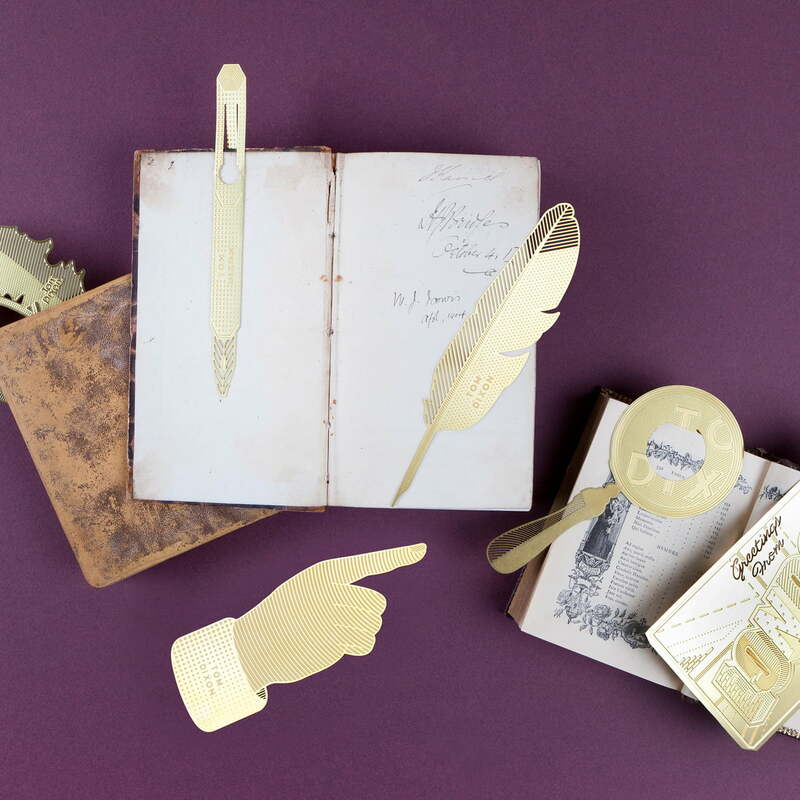 The Tool The Bookworm are attractive bookmarks by Tom Dixon shaped like a quill, a hand and a pen, with each having been punched from a piece of brass.